Why have we created these new stages? Have we produced a class leading product? What else have our customers asked for their suppliers to do better? I’m happy to announce the availability of our new family of flexible linear motor and servo motor ball screw linear stages. 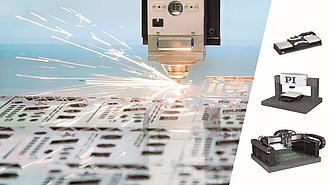 With the V-412, V-417, L-412 and L-417 linear stages we have considerably expanded our product portfolio for industrial solutions. 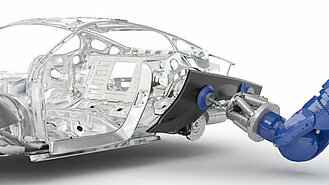 They will assist us in providing additional expertise to our growing customer based in the precision automation market. The new linear stages (here: V-412 and V-417) differ in the widths of 116 mm and 166 mm. The travel ranges start at 52 mm and continue up to 813 mm. These will be joined by a wider and heavy load capable version shortly. Our customers in the precision automation market require micron precision stages that are robust, offer consistent long lifetime with good dynamic performance. Machine builders in the laser industry also need such stages to offer good resistance to debris ingress and tolerance to hot particulates so the stages have side sealing strips, air purge and hard covers. Metrology customers producing industrial systems ask for consistency in performance and aesthetically pleasing looks! 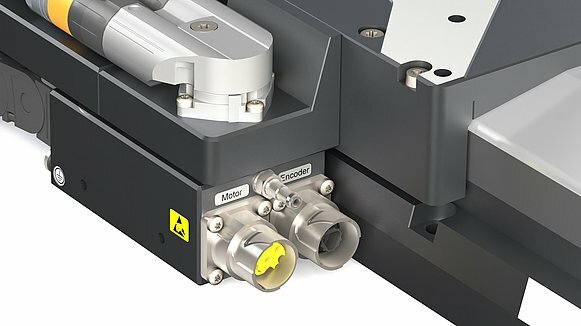 The resolutions in this product class, the wide range of linear encoder options and the great design meet these needs. The machine builders who require ease of installation and safe system startup will appreciate that we have added a reference edge to the stages for easy placement and alignment on their machine base, standard cable management option, absolute encoder options that remove the need for reference moves in startup procedures. Robust servo motors with the ability to run directly on 110/240 volts AC servo drives, and flexible motor cable exits are further advantages. 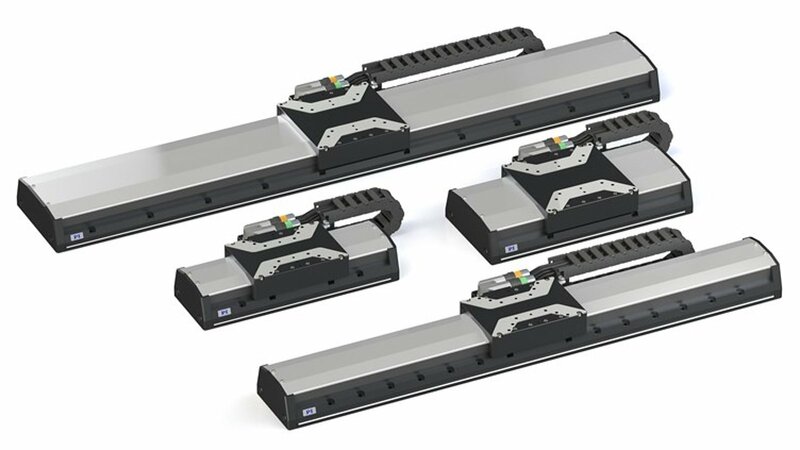 The new linear stages are equipped with robust connectors according to industry standard. The new connectors are equipped with bayonet lock, which can be handled without the need to use tools and is also secured against inadvertent removal. I believe the team has! Why? Well I’ve touched on some of them above. We’ve listened to what the market has asked for and added the above features which are unique or better than the current market offerings. 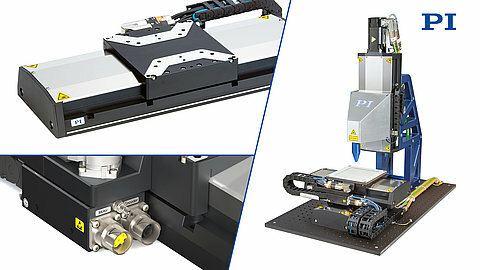 These include the reference edge, higher encoder resolutions, absolute encoder options on all sizes, robust industrial motor connectors which are easy to handle and adjust, standard high flex cables, dedicated air purge connections, and the ability for the end user to lubricate the ball screw rails without dismantling the stages. We’ve heard it time and time again! Reliable and faster supply. In the summer, we will being putting a ‘quick delivery service’ into place and the most common requested stages will have a delivery of four weeks or less. To support our OEM and system integration customers we will streamline our approach to systems building that make are offerings for aligned stages, metrology data, correction mapping, and integration to our highly capable families of PI and ACS motion controllers. Our Ethercat-based ACS controller and drive solutions are ideally suited for multi-axis synchronized motion applications that may need G code support with the added capability of synchronized motion to laser control or ‘position-to-event generation’ (PEG).